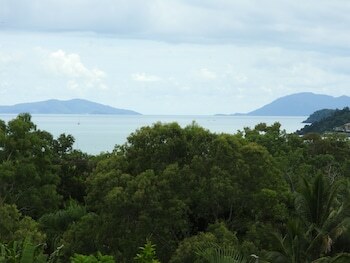 Located in Airlie Beach, Airlie Beach Myaura Bed and Breakfast is by the ocean, within a 15-minute walk of Airlie Beach Lagoon and Airlie Beach Market. The front desk is staffed during limited hours. Free self parking is available onsite. With a stay at Half Moon Bay in Yorkeys Knob, you'll be within a 10-minute drive of Skyrail Rainforest Cableway and Half Moon Bay Golf Course. Free self parking is available onsite. Located in Jindabyne, Wanderer's Retreat Jindabyne is minutes from Banjo Patterson Park and Nuggets Crossing Shopping Centre. Self parking (subject to charges) is available onsite. With a stay at Rose City Motor Inn in Benalla, you'll be within a 5-minute drive of Benalla Golf Course and Benalla Art Gallery. Free self parking is available onsite.